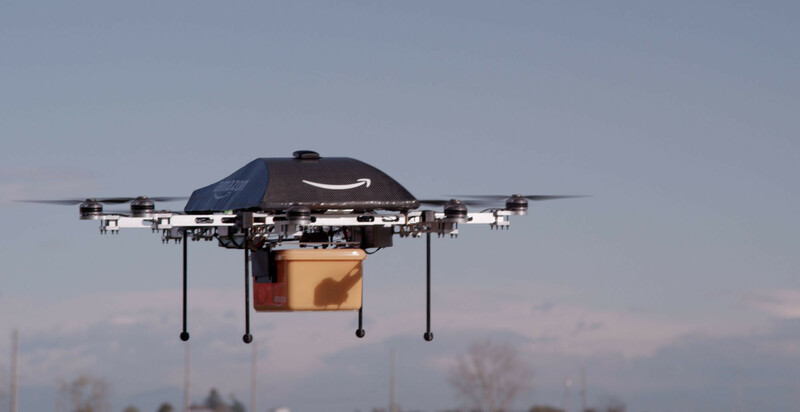 Amazon is teaming up with the UK government to work out how to make the delivery of small parcels by drone a reality. The internet retailer wants to use drones to deliver packages to customers around the world in under 30 minutes. This video, narrated by former Top Gear host Jeremy Clarkson, explains Amazon’s vision for a future delivery system using small drones. Amazon said its partnership with the Civil Aviation Authority (CAA) will help it work out how to make drone delivery safer and more reliable, and what rules and safety regulations will be needed. The UK trials will be the company’s most extensive tests of drones to date. Amazon, Google and other firms are also testing unmanned aerial delivery vehicles in the US, but the Federal Aviation Administration (FAA) recently introduced new rules that restrict their use. The CAA, the UK’s aviation safety regulator, has given Amazon special permission to test its drones by lifting some flying restrictions in certain “controlled” areas. Under the agreement, the company will be able to test “three key innovations”: operations beyond line of sight in rural and suburban areas, sensors that make sure drones can identify and avoid obstacles and flights where one person operates multiple autonomous drones. The battery-powered prototypes – part of Amazon’s future delivery service Prime Air – are able to take off vertically but fly like a plane at less than 400ft. Weighing 25kg, they will deliver packages of around 2kg – which make up the vast majority of Amazon’s sales.